Fly your guests to the pick of the best festivals in the calendar. This is first class corporate hospitality at its finest. Starting with a top class flight to the races you will feel like winners – our friendly Operations Team will arrange everything for you, with over 15 years experience they are discreet and able to manage any itinerary. Call them on 01256 635000 or get an instant estimate using the form below. 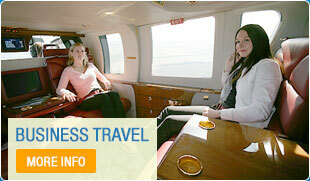 Arrive refreshed, avoiding any travel delays, ready to enjoy a day at the races. 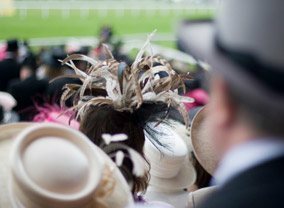 Flying to horse racing festivals throughout the UK means you will be able to pick from the top horse racing events in the calendar to give your guests the best experience possible. Enjoy the thrill of watching horses race on the track, whilst you and your guests look on from a private area, as part of your horse racing hospitality package. Sip champagne and enjoy canapés to get you in the mood to enjoy a day’s racing. This is the ideal corporate entertaining opportunity. It appeals to a wide variety of guests, with its tradition, international reputation and its electric atmosphere delighting guests across the age range and from both genders. The prestigious horse racing hospitality package gives you and your guests the opportunity to enjoy fine wine and gourmet cuisine whilst being entertained; captivated by the excitement of the race. An extensive range of facilities, which your dedicated flight manager will have organised for you with the venue management, will be available for you on arrival, including your own private suite. You will have access to reserved tables and an enhanced experience with prime views of the races to be enjoyed from comfortable seats and a room set aside for you. You and your guests will feel like winners on the day, whether the going is soft or hard, as you enjoy quality networking time in comfortable surroundings, essential components of your horse racing hospitality package, meeting business peoples’ expectations as a memorable corporate day out. Indulge your guests on their return trip with champagne as you celebrate your winners. Even if you were unlucky with the horses you can still finish first past the post by enjoying the comfort of your own private helicopter flight home, with the horse racing hospitality package still making sure you finish first ahead of the traffic below. You will not have to face missing the last race of the day, to rush away from the races in order to beat the traffic or catch a train. Fly to many different tracks and locations so that you can experience whichever race you prefer or simply select a Ladies Day that appeals to your female business clients. Below is a selection of the well-known horse racing hospitality events we will fly you to, as a guide to help you get started, but this list is easily added to if you have a favourite event not included below. The above list only indicates a few of the more well-known races and others can easily be added, depending on where you want to go. Call our team now on 01256 635000 to talk about horse racing hospitality packages throughout the year.